I was lying awake on the cold wooden floor of the cabin when I heard my watch alarm go off. It was 3:00 in the morning, and I was camping at the base of Jay Peak, Vermont, only 12 miles south of the Canadian border. I sat up in my sleeping bag and the piercing cold of the night air immediately struck my body. Groggily, I began to search my surroundings for the gear I had left out the night before. This process was a familiar one; at that point in my trip, I was comfortable repacking my hiking pack in the pitch dark. As I laced my boots and stepped out into the vacant night, a soft “good luck” from my shelter-mate inside the cabin brought a grin to my face. I set off with my headlamp at 3:14 am to conquer the final 3,858 vertical feet of my trip, 1.2 miles up the trail. That wakeup happened on the last day of my 19-day solo hiking trip this past summer. 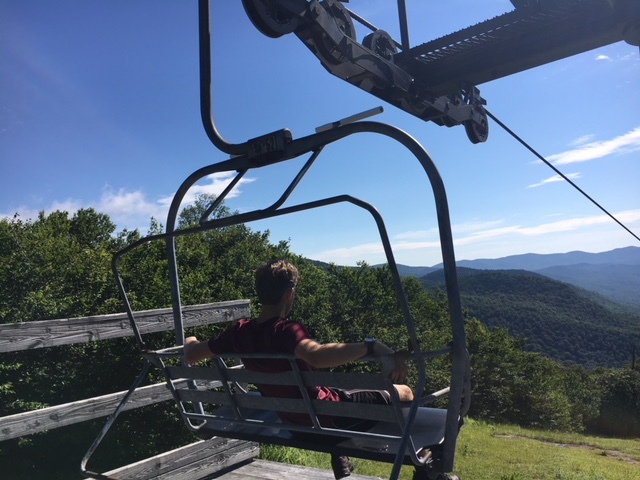 To me, the Vermont Long Trail is a monster; stretching 276 miles from Williamstown, Massachusetts to the U.S.-Canada Border traversing all of the tallest peaks in the state of Vermont. I was a “thru-hiker”: someone who completes an entire trail in a single stretch or season. Never before had I planned such a long or challenging trip, let alone attempt one. 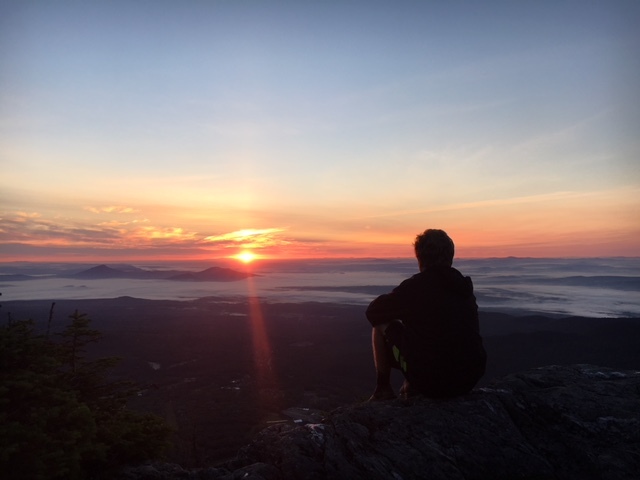 Organizing and executing my own solo adventure was thrilling to me, and as I walked up the steep, rocky southern slope of Jay Peak in the dark, I thought about when I had done this same sunrise hike with the Expedition Camp almost exactly a year ago. Taking on the steep incline at 3:00 in the morning, I realized how much I truly owed to six years at Pine Island. Had I not conquered Mt. Bigelow as an 11-year-old, summited Mount Washington for the first time, or taken on the White Mountains of New Hampshire with some of my closest friends on a number of different PIC trips, I would not have found the strength or the confidence to haul my pack up the rocks that morning. 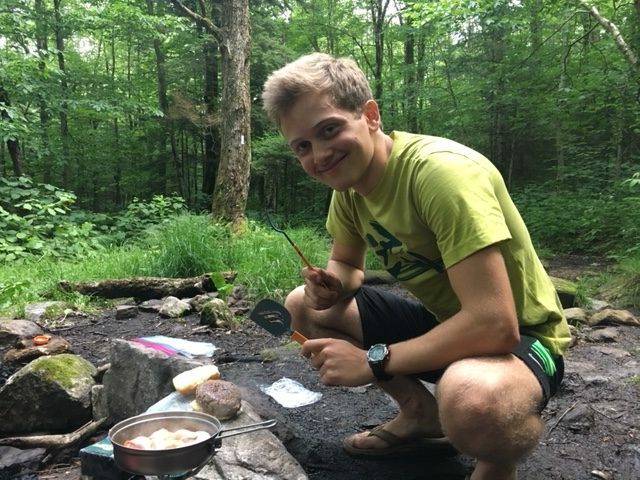 I had learned to appreciate watery oatmeal, cold mornings, and wet feet, and I embraced the refreshing solitude that Vermont offered. 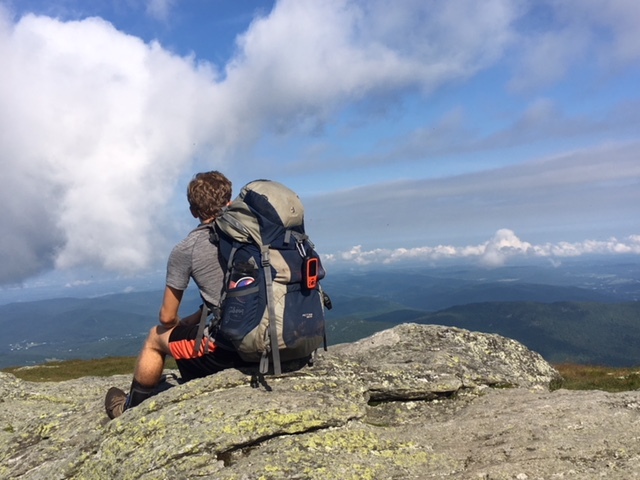 Above all, this past summer it was passion that drove me to walk for longer than I ever had before – a fierce passion combined with a love for the outdoors. All of this I attribute to Pine Island: six weeks for six summers on that island gave me the profound zeal I maintain for hiking. And as I stared into the soft golden horizon beyond Jay Peak that morning, shivering in my wool socks, I caught myself remembering about heading back to Great Pond, napping deeply in the back of a rented van packed with slumbering Pine Islanders. This entry was posted in Pine Island alumni, The Pine Needle on March 27, 2018 by Pine Island Camp.